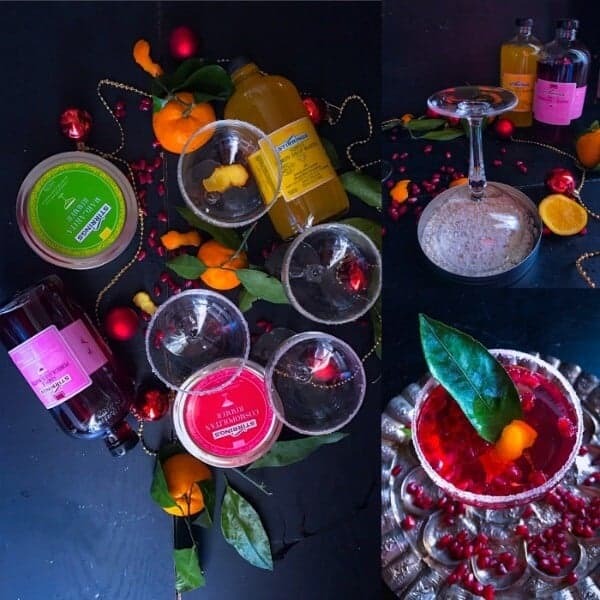 Pomegranate New Year’s Punch (with Rum and Vodka) Perfect New Year’s drink to help you celebrate with your loved ones. This sweet-tart delicious punch is absolutely gorgeous and can be made in advance. Who’s ready to party?? 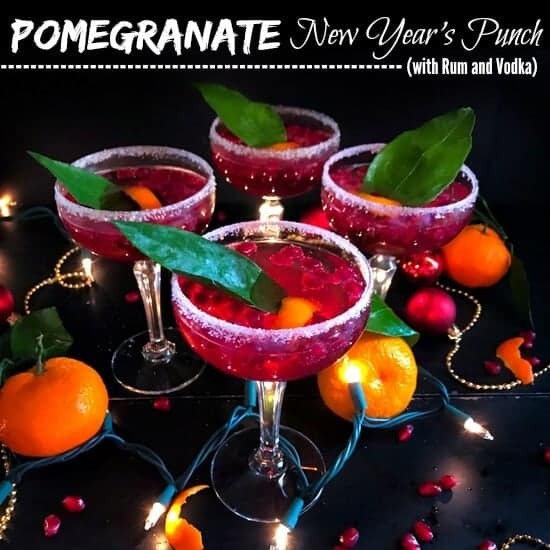 I know I’m and with this Pomegranate New Year’s Punch (with Rum and Vodka) recipe!! It will surely make you want to put your dancing shoes on and welcome 2017! Before, we go further, can you believe that we’ll be in 2017 in like 2 days? Seriously, the year went by so quickly and I’m not even ready for my New Year goals (or should I say, haven’t even completed all of my 2016 goals). 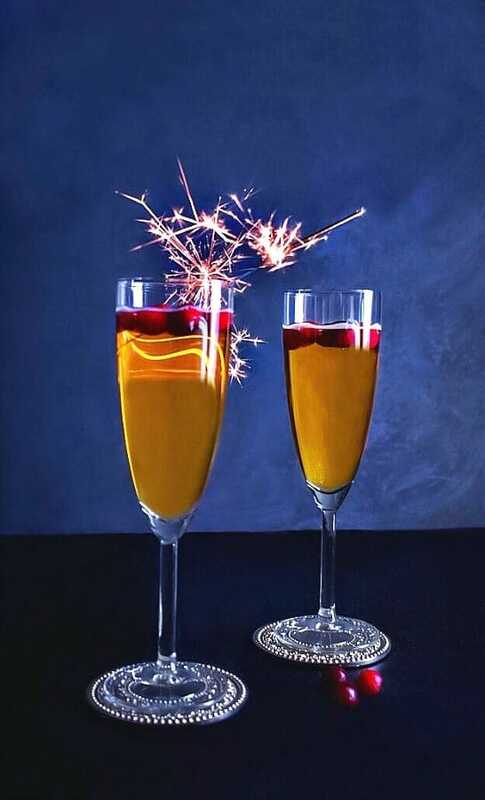 Are you hosting a New Years party or going to one? We are actually doing both in next two days and I’m so ready with my punch drink which not only packs that needed punch for a party but is budget friendly too. 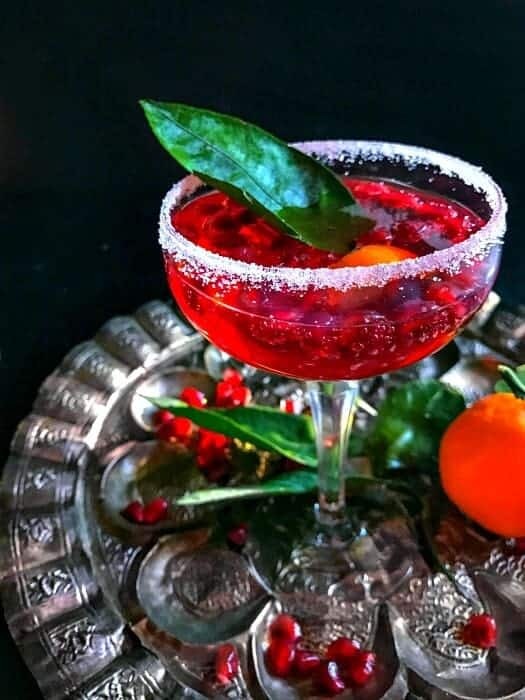 And, did I mention that I also entered into the “Stir It Up Holiday Blogger Mixology Challenge” at Stirrings (who make cocktail mixers and rimmers) #StirringsMixologyContest. So for this blogger challenge, I could choose any of their 2 cocktail mixers and for me, it was the pomegranate and lemon mixers. 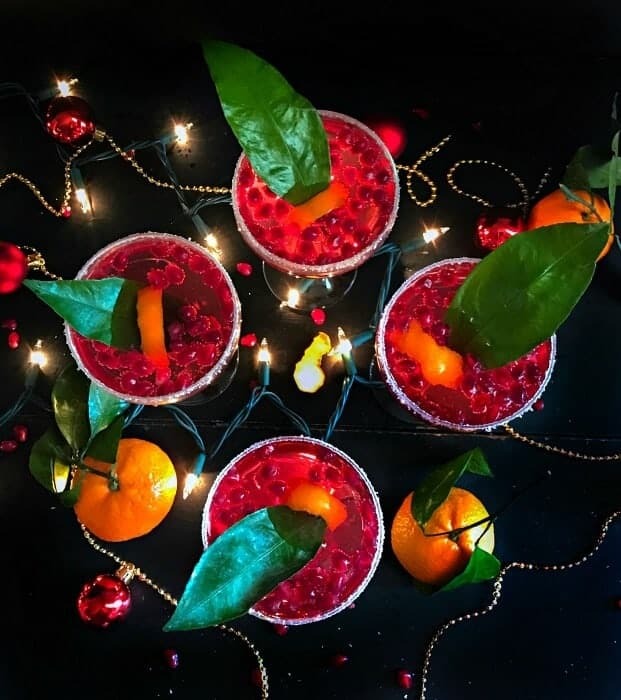 Every year, when we are hosting, I try to include one special recipe that becomes a focus of our party and this year it’s going to be this Pomegranate New Year’s Punch (with Rum and Vodka). I’m definitely going over and above to give it that extra pop of color by adding fresh pomegranate arils and lights. If you don’t drink alcohol, you can definitely make it without any liquor by adding orange flavored soda. One more thing that I like about this drink which I mentioned above is that it’s pretty economical as a big batch drink. This particular recipe makes 10 glasses and I know with so much food and other drinks, not many will have more than 2. 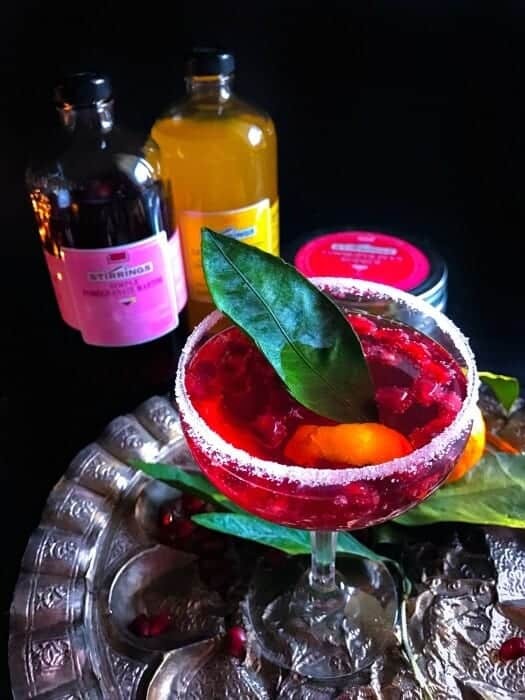 The recipe is very easy and you can make this drink a good 2-3 hours before the party, just add the soda and pomegranate before serving (for that crisp taste). I used two types of rimmers – one is a margarita rimmer (salty) and the other is a pomegranate rimmer (sweet). I’m sure my guests are going to have a fun time deciding which one they want. Since it’s my last recipe of 2016, I wanted to make it extra special, bright and something that’s absolutely easy to make but packed with a punch. As I Loooove to see you recreate my recipes. Take a large bowl or jar. Add all the drink ingredients in the bowl/jar and give it a quick stir. Take a serving glass and coat the tip with an orange slice. Dip it into the rimmer mix and coat the glass tip evenly with rimmer. Coat all the glasses similarly. Pour the punch in all the glasses evenly. Place the orange rind slices and leaves in each glass. You can use any pomegranate juice and lemon juice too. 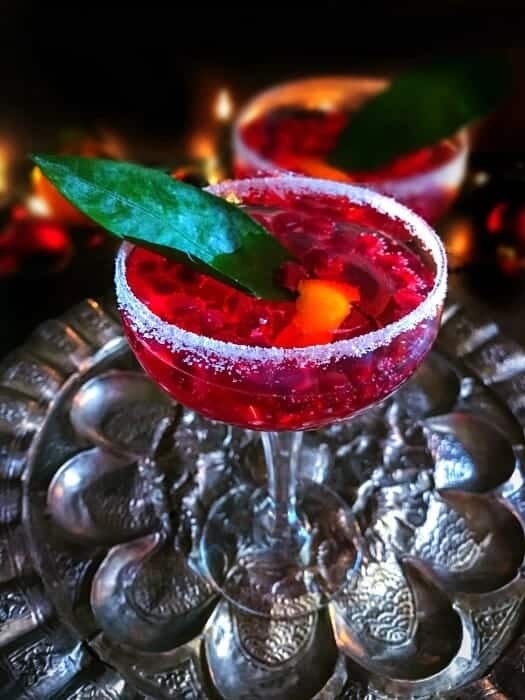 34 Replies to "Pomegranate New Year's Punch (with Rum and Vodka) #newyear #drink"
Oh this looks perfect for New Years!!!! I love pomegranate! The mocktail version sounds good too!!! 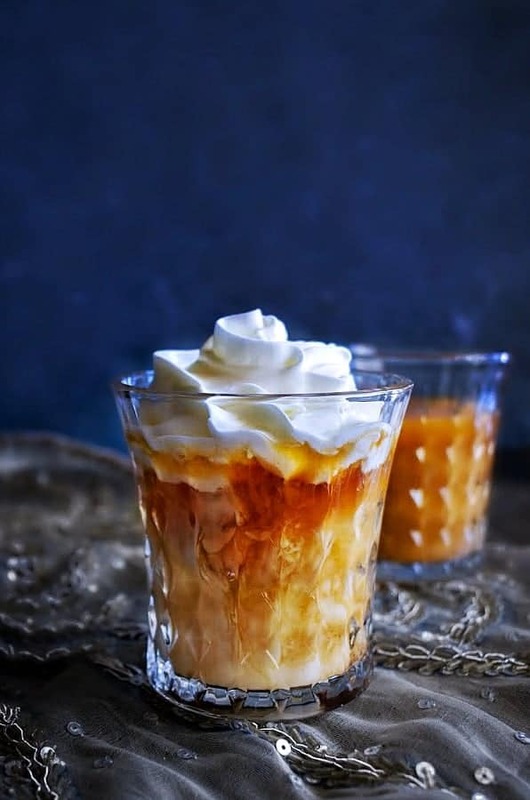 These looks delicious and the photography is gorgeous. I will have to try these out sometime soon. Thanks Rachel and definitely give it a try soon, you’d love it! This drinks looks so yummy! 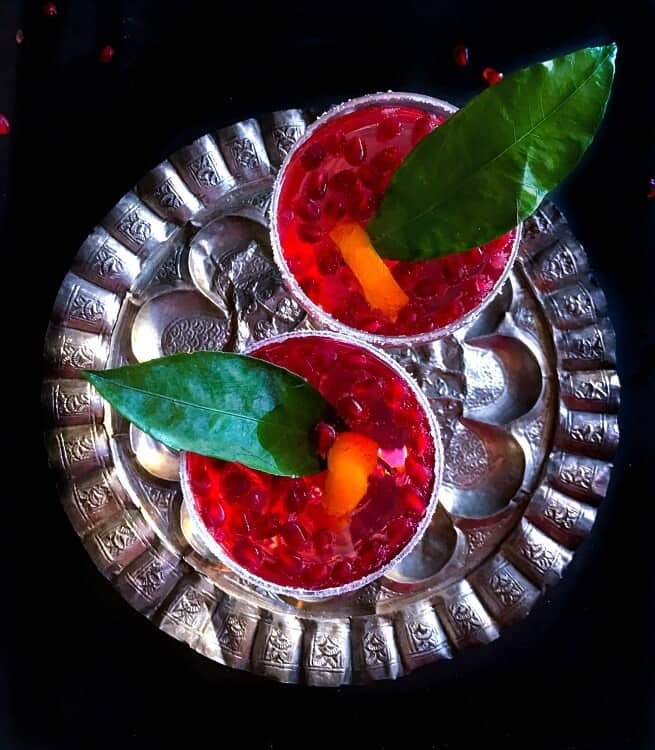 I”m all about pomegranate and I love that you mixed rum & vodka! Need to try this for New Years! Awesome Silvia, Hope you enjoy the drink soon. I so pinned this one! I just had a ladies night and I made a punch with pomegrantes and prosecco. This look so good! YaaY to Girls night in and I’m sure you’d love this one too – Thanks for visiting. This sounds really good, not sure I’ll be able to whip it up for New Year’s but I will definitely have to try this for another party this winter. Your pictures for display are beautiful! Looks and sounds temptingly delicious. I love pomegranate and vodka so win! I think I’m liking this idea. Pomegranate flavor is always a plus and I love how pretty the drinks look. Thanks Liz – Hope you try the drink soon. This looks delicious! I love that you have a mocktail version. perfect for the kids. Thanks Keikilani. It’s always so much fun to have fancy mocktails for kids. Thanks Erin & Wish You a Great New Year too. Oh my! I want one right now! This looks amazing. Perfect for New Years! This looks delicious and so festive too! I won’t be partying this year but that won’t stop me trying it out! What gorgeous photography. The plating is superb, and makes me want to toast you right now! That would be great – Thanks Melanie ~ Look forward to you trying it soon. What a delicious drink to enjoy fro the new year. I bet it would be a big hit at anyone’s party.